I recently celebrated my one year vegan-versary and not only has my diet become cruelty free, my wardrobe has undergone a major shift as well. Always an animal lover but a slave to style, I own furs and loads of leather handbags. 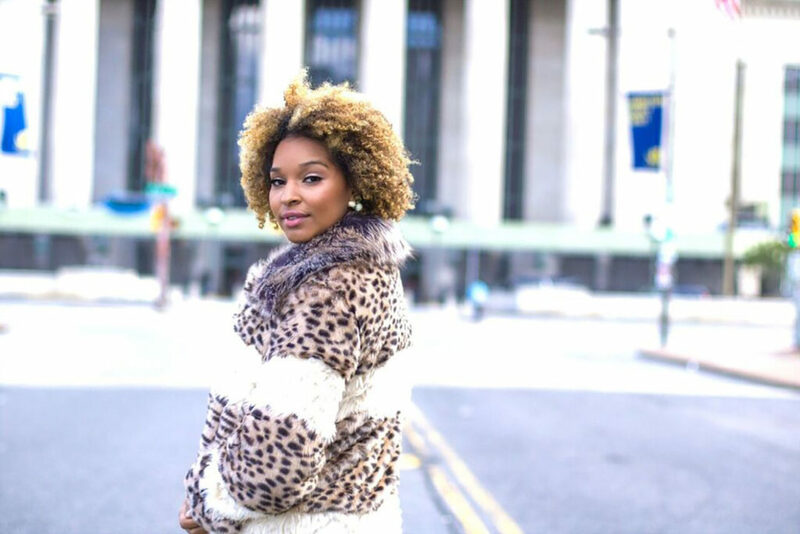 Over the years I began experimenting with faux fur and what is now called vegan materials. We are talking about faux suede & leather, satin, etc! Sustainable materials don’t always have to be faux, fabrics like linen and nylon fall into this category. I’m now making a conscious effort to only purchase sustainable pieces that are still high quality and fashionable; easier said than done. 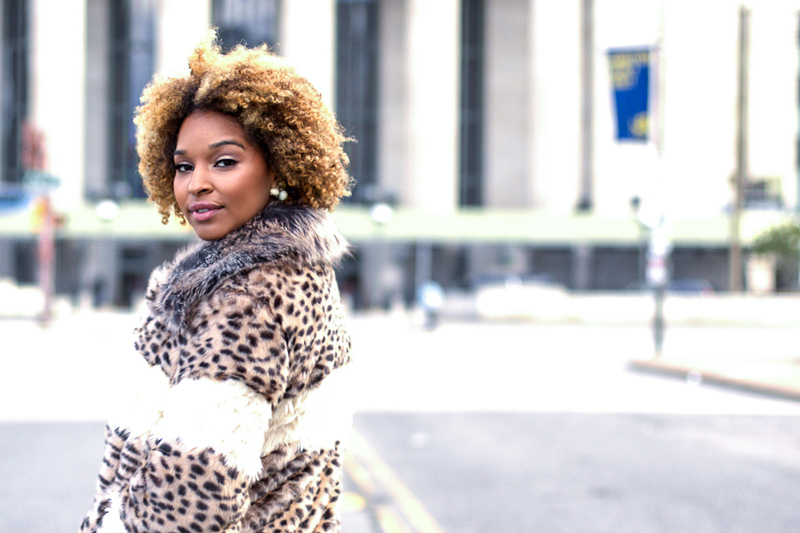 Learn more about what designers offer chic sustainable pieces, like this leopard winter coat, after the break! Being that it went from fall to winter in seconds, a warm coat is necessary! I grabbed this color-blocked leopard coat from none other than Pinko, who boasts quality faux in fashionable form. I feel confident and conscious when I throw this bad boy on. Style is all about the aura you give off in your clothes, it has absolutely nothing to do with what you’re wearing. That’s why when you see people simply following trends to fit in, it doesn’t seem to fit them right?! I was wearing fur and feeling bad, so I followed my gut and made the conscious clothing switch. There are plenty of other retailers who offer conscious clothing that is as luxurious and high fashion. Why waste when you can sustain and save some lives while doing so? 1- Unreal Fur, a line that I found during Fall 18 NYFW also has chic coats to choose from! Between these two jacket lines you’ll be covered all season. 2- Zara Footwear has been my go to since I made this switch, offering shoes made of faux suede and leather that look and feel like the real deal. The white mules I have on in this photo just happen to be from my go to accessory store. 3- Cashmere is a great alternative and it’s super warm. This leopard top is from The Cashmere Sale and you can shop this plus other affordable pieces here! 4- Denim is a no brainer, like this zipper detail skirt that I flipped backwards. I thrifted this for $30 at none other than 10 ft by single Stella Dallas. An all denim look is easy and wallet conscious! If you’re loving this look shop it using Like To Know It plus other looks here! Follow for exclusive updates 🛍 Thanks for being loyal readers 🙏🏽 Without you none of this would be possible! I’ll be sharing more tips as I begin dressing more consciously.